#89. 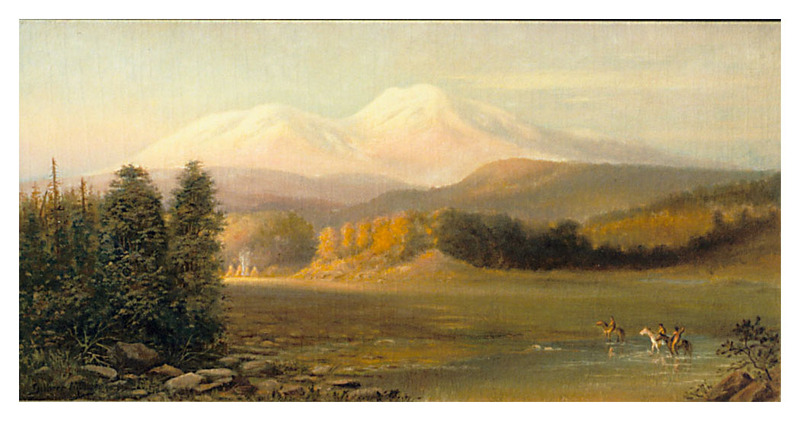 Mount Shasta with Indians. 15 x 30, oil on canvas, relined. "Gilbert Munger" lower left; "Mt. Shasta Cal, 14440 ft els, Gil. Munger painter" reverse. Mt. 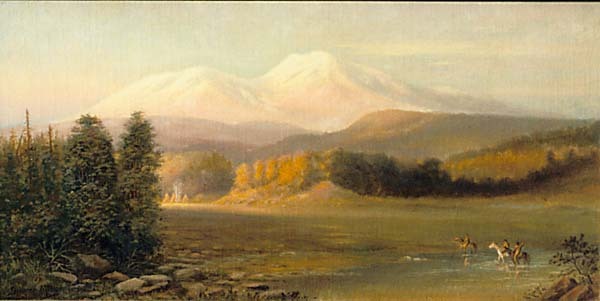 Shasta is shown from the west with Indians on horseback and a teepee village. From a Sacramento CA area collector about 1999 to the Grupp Collection in Mountain View CA. Sold at Bonhams California & Western Paintings auction on 28 April 2015 as lot 20 for $8,000 plus 25% buyer's premium. Image from author's photo.